The town of Morehouse Justice will preside over the court and is elected for a four year term. 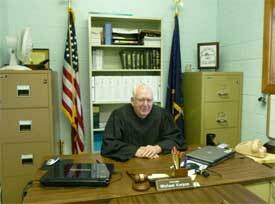 Town courts have jurisdiction over any and all criminal matters occurring within the towns borders. This includes original jurisdiction over any and all traffic matters.